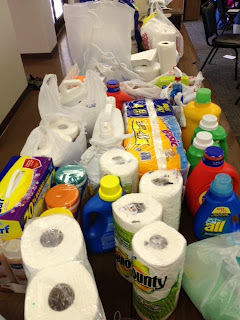 On October 29th, 2011 we went to the Tennessee Baptist Children’s Home in Chattanooga, Tennessee to minister to girls who live in foster homes. We set up different tables of activities such as cookie making, journal making, ornament making, and fingernail painting to keep us busy while we talked. When the girls got there, we mingled throughout the tables and got to know each other over sparkly cookie gel and orange fingernail paint. The girls were just as friendly as we were, and we all had a great time together. It wasn't long before it was time to leave, so we said our good-bye's and packed up. I think the biggest thing we all learned was that kids who live in foster homes are just like us but need a little more love, and they shouldn't be treated any differently. In the end, we made a lot of friends, and I hope everyone had as much fun as I did. 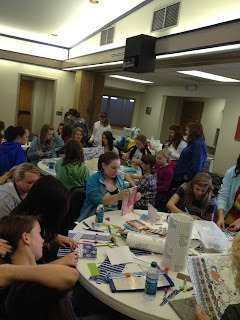 Check out more pictures from the Girls Ministry Service Day on our Girls Ministry Facebook Page!